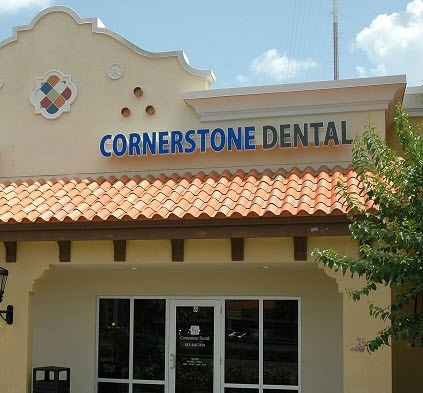 Cornerstone Dental is a full service family practice that specializes in cosmetic and general dentistry services, orthodontics, dental implants, mini-implants, TMJ treatment, dental crowns, porcelain veneers, root canals and cosmetic restorative dentistry. We offer stress-free dentistry through a range of sedation options. You'll know that the dental work was done, but have little memory of how it happened. With Cornerstone Dental you get only the best. Our patients can expect the best at our state-of-the-art facility with modern dental care technology, the finest instruments and equipment, a convenient Oldsmar and Lakewood Ranch office location, plus certified assistants and staff.